Today's post is focusing on a promising product to cure pigmented facial spots. 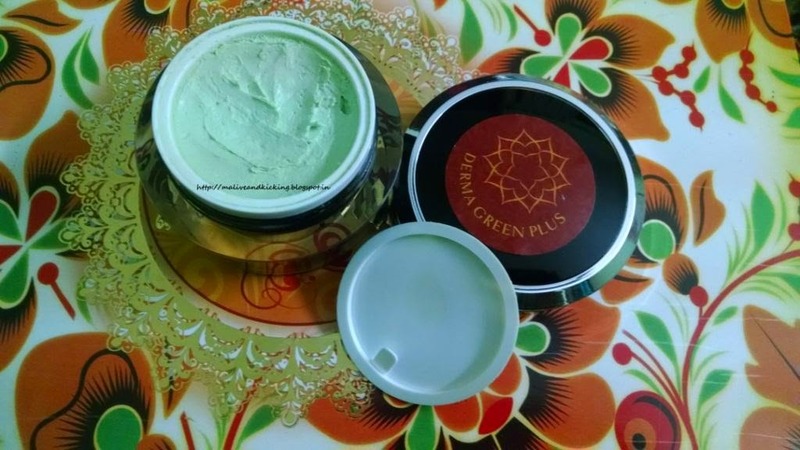 Herbal India Products sent me their bestseller product Derma Green Plus Herbal Whitening Cream that is crafted to give visible whitening of the skin in just 21 days with regular usage. 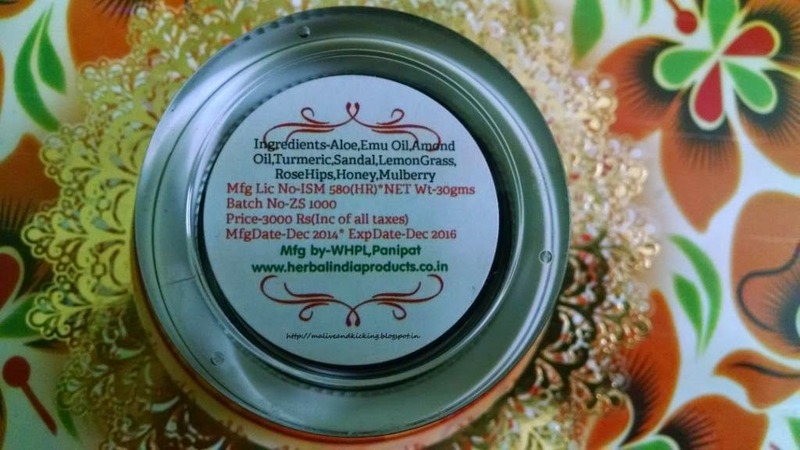 Herbal India Products is high-class beauty and wellness products distributor in India and abroad whose focus is to provide a broad range of high quality products comprising of health supplements and skin care products made from the pure and natural ingredients available. The company promises to deliver their products in any part of the world in tactful packaging in shortest possible time span. 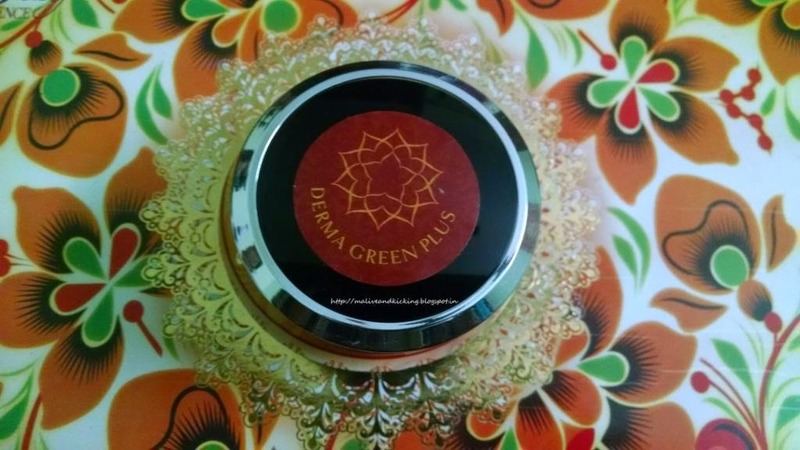 Derma Green Plus Herbal Whitening Cream is packaged in a black crystal tub pack with a bright red sticker on its top lid having the product name on it. The ingredients and price details are printed at the bottom of the packaging. 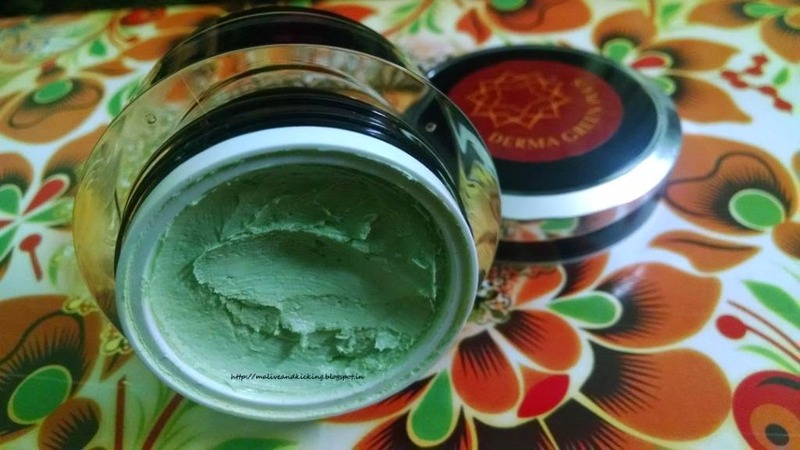 The cream is infused with the goodness of natural ingredients like Emu Oil, Almond Oil, Aloe, Lemon Grass, Sandal, Turmeric, Honey, Mulberry and RoseHips. The 30 gms content in the pack is sold at a price of Rs.3000 and shelf life of each pack is 24 months during which the cream can be safely used. The brand recommends to apply the Derma Green Plus Herbal Whitening Cream as an overnight leave-on face mask on the face. So I applied the cream all over my face as well as neck area, which is exposed to all kinds of environmental issues most of the time. It took me a bit of effort to spread the thick cream on my skin so that it properly penetrates the skin. The next morning I swiped off the cream from my face using wet cotton. After following the similar practice for almost 20 days now, the cream has imparted a visible glow to my skin. I can notice the lightening of the sun damaged patches from my forehead, though the skin is not yet evenly merged with the rest of facial tone. I am expecting better outcome with continuous use. The cream claims to delay ageing to a great extent due to its beneficial herbal ingredients. I have great faith in home remedies, and when a product is prepared keeping in mind the effectiveness of its constituents, its a blessing in disguise for busy bees like me. Just a layer of Derma Green Plus on my face every night can improve blood circulation and thereby render youthful skin. In the ingredients list, I noticed an interesting skincare element i.e Emu Oil which is said to repair the skin by reducing wrinkles, scar marks, skin irritation, cuts/scrapes arising out of different reasons. Thankfully I have no scar marks on my face, so I am unable to comment on its effectiveness on the same, but I am very happy with the efficacy of Derma Green Plus that has treated pigmentation and brightened my overall complexion. Effective on blemish n pigmentation. Impressive packing with inner lid. Whitens and brightens the complexion. Expensive (might be due to its pure ingredients. 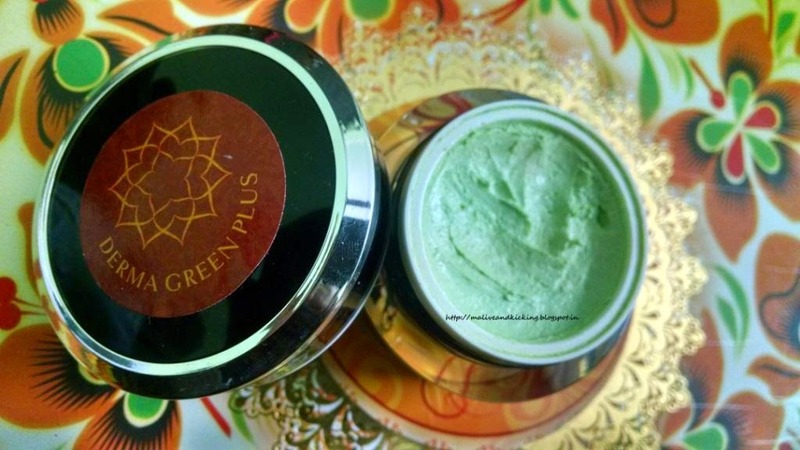 Derma Green Plus Herbal Whitening Cream fulfills its commitment by providing multiple benefits to facial skin. It penetrates deep into the skin and relieves from flaky, patchy, dehydrated skin. 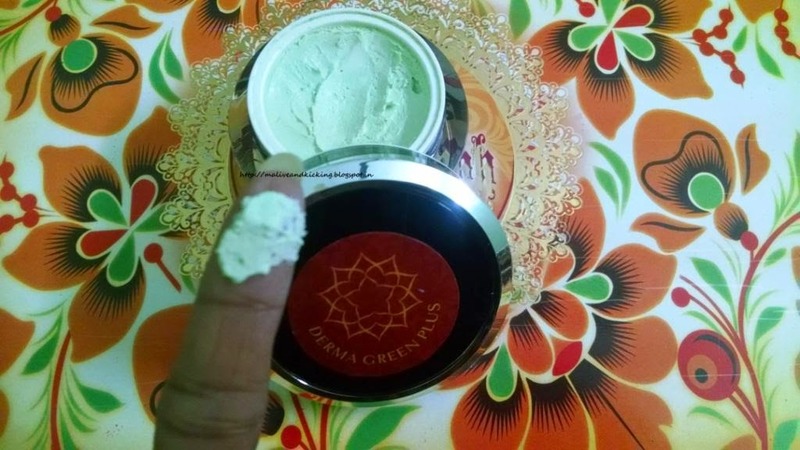 People looking for safe product to cure pigmentation must go for Derma Green Plus. nice review again of a natural brand!! !